Vietnam opened up to foreign investors as late as 2015. Since then, the country has welcomed everything from corporations, expats, tourists, and property buyers, waiting to grab a piece of this exploding market. Personally, I believe that Vietnam is one of the most interesting places for real estate investments in Asia at the moment. Rental yields are among the highest, at the same time, you can pay as little as USD 1,500 per square meter for new condos in upcoming areas around Ho Chi Minh City. Still, before you buy, it’s important that you get your feet wet and learn how it works practically when buying real estate as a foreigner in Vietnam. In this article I share a lot of valuable information covering foreign ownership regulations, property taxes, the buying process, how you can get a mortgage, and more. Can foreigners buy property in Vietnam? Few foreigners have managed to invest in Vietnam real estate in the past. We can mainly blame unfavourable and strict foreign ownership regulations. However, in July 2015, the Vietnamese Government introduced the Vietnamese Law on Residential Housing (LRH), which made it remarkably easier for foreigners to buy property. Technically, you can buy as many units as you want, as foreigners currently don’t have any restrictions on the amount of properties they can buy. Previously, the cap was set to maximum one unit in a condominium. Thus, there’s been a drastic change in the regulations of foreign ownership. Can foreigners buy land in Vietnam? Foreigners cannot buy and own land, like in many other Southeast Asian countries. Instead, the land is collectively owned by all Vietnamese people, but governed by the state. As written in the national Land Law, foreigners and foreign organizations are allowed to lease land. The leasehold period is up to 50 years, but in some cases up to 70 years. At the time I’m writing this article, the Government is considering to extend the leasehold period from 50 years to 99 years, which is positive of course. Even if the regulations are getting less strict, and will probably loosen up over the years, you need to be careful. There’s no guarantee that you’ll be able to renew your leasehold period for example. Thankfully, Vietnam has a law on land called Land Use Rights (LUR) that reduces the risks for foreigners to invest in Vietnam. Even if you’re not allowed to own land, you have the right to use land – as stipulated in the LUR. It also gives you the rights to control the land leased or allocated by the Vietnamese state. Keep in mind that you need to submit a Land Use Rights Certificate (LURC) to the Vietnamese Government before you’re able to lease the land. Can foreigners buy property from Vietnamese people? 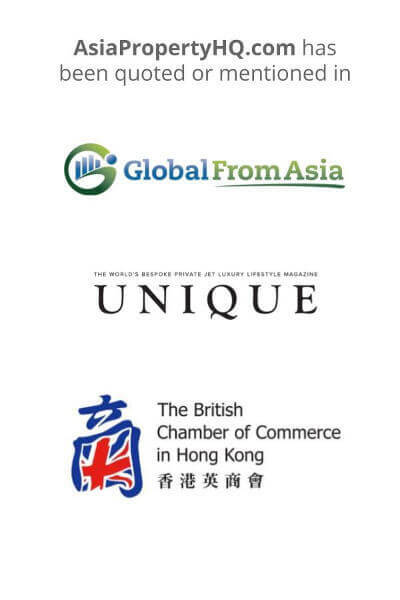 Foreigners often buy property directly from developers on the primary market, or from foreigners that previously bought property on the primary market. There are restrictions on the secondary market as you can’t buy property from local citizens in case the foreign quota is already filled (30%). When you purchase a property from a developer, it’s important that you receive an ownership certificate. In 2017, foreigners had issues getting their property ownership certificates, this understandably caused some frustration. According to law, foreigners cannot own properties in areas that are reserved to protect the national defense and security. And it’s up to the Ministry of National Defense and the Ministry of Public Security to decide whether a property is located in an area that is reserved to protect the national and security. I cannot stress the importance that you make sure that your prospective property can be owned by you as a foreigner, and confirm, prior to the purchase, that you will be able to receive the ownership certificate. The ownership certificate is often referred to as the pink book. The name comes from the small pink book that you should receive after you purchased a property. The book shows your ownership and rights of your property. It will give you right to lease your property and declare information regarding inheritance, for example. Shortly speaking, pink books are used for the title to verify the ownership of properties. There’s also a red book that’s been used for a longer time than the pink book. The red book is used for the title to ownership of land, instead of physical structures, like houses and condos. Thus, the pink book is more common for foreigners that normally invest in properties like condos, which are less regulated. 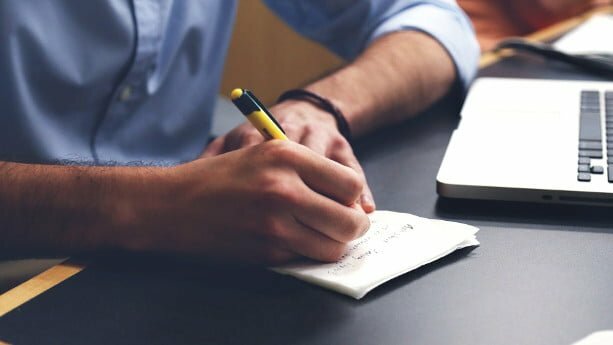 Do I need to receive the pink book when buying property in Vietnam? Shortly speaking, the pink book is used for the title to ownership of property. Even if an SPA (Sales and Purchase Agreement) can be used to prove that you bought the property, the strongest evidence of ownership is to have both of them. What does the pink book include? Before you decide to invest in Vietnam, you need to understand the buying process. You don’t want any surprises or unknown fees to come up later in the process. Below, I have made a list of important items you need to consider during the buying process. This is the initial step of the process, and an important one. Do you plan to pay with cash assets, housing loan or a combination of both? In Vietnam, it was previously common that locals paid with real gold, due to the volatility in VND (Vietnamese Dong). This is not the case anymore though. Nowadays, transactions are normally made in VND (USD can’t be used when buying property in Vietnam). 2. Why do you plan to buy? You also need to ask yourself why you want to invest in Vietnam. 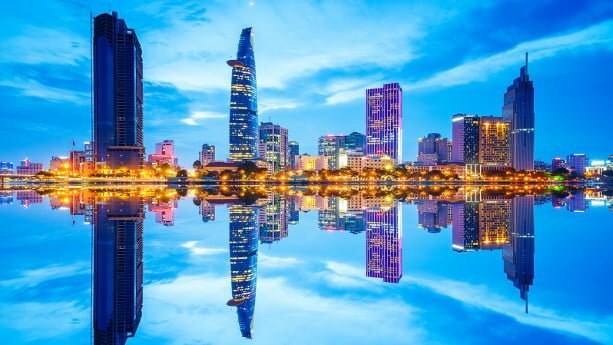 If you look for high appreciations, developing areas in Ho Chi Minh City can be a good choice, as it’s currently attracting a lot of foreign companies, expats and wealthy locals. If you look for a beach side resort, Da Nang or Nha Trang could be better choices. 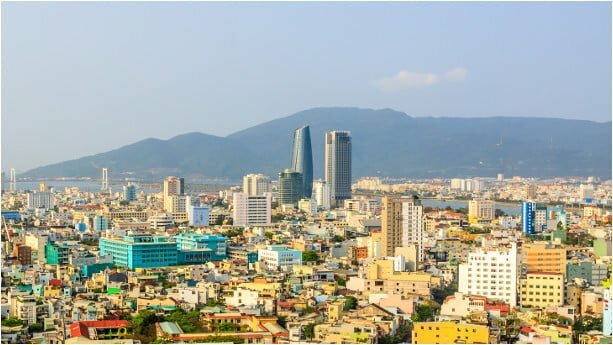 Da Nang has experienced great increases in housing prices recently and gets heavily developed. Later in this article, I will explain more about interesting places for property investments. You can also read my separate articles that list new upcoming property projects for sale in Ho Chi Minh City, and other cities. If you seek high rental yields, you might be better off buying a multiple amount of units, especially in places like Ho Chi Minh City. If you buy a multiple amount of units you can also diversify your risk. I recommend you to hire a Solicitor (lawyer)for larger transactions, and when buying landed property. The Vietnamese market opened recently to the foreign world, so there can be some roadblocks on the way. However, foreigners rarely hire property lawyers when buying condos on the primary market. Reputable developers (like Novaland and CapitaLand) primarily build and manage the new condo projects you seen in Ho Chi Minh City. You’ll find both local and foreign developers that are reputable, follow standards, and have managed dozens of projects in the past. Normally, your estate agent or developer will involve a property lawyer where needed throughout the process. When your agent has helped you to find a project and unit you like, it’s time to pay a non-refundable deposit of VND 100 million. The deposit is paid by credit card or bank telegraphic transfer, whereby you sign the Option to enter into Deposit Contract Agreement. You need to pay the first installment within 14 days after you’ve paid the first deposit. The payment is managed by bank transfer. When you’ve paid the first installment, you’ll enter into the Deposit Contract and the Deposit Contract shall be non-transferable. Pay the following installments as concluded in the contract. Drafting and execution of the SPA (if eligibility for foreign ownership is confirmed) and the SPA shall be transferable. Before you can acquire the unit, you need to pay the maintenance fee (2% of the purchase value). On top of the maintenance fee, you need to pay 1 year of management & operation charges, the registration fee (0.5%), and an additional installment. When you’ve signed the SPA and managed your financial obligations, you need to submit documentation for the application to receive the pink book. Make a final payment within 14 days after you’ve taken notice to receive the pink book. 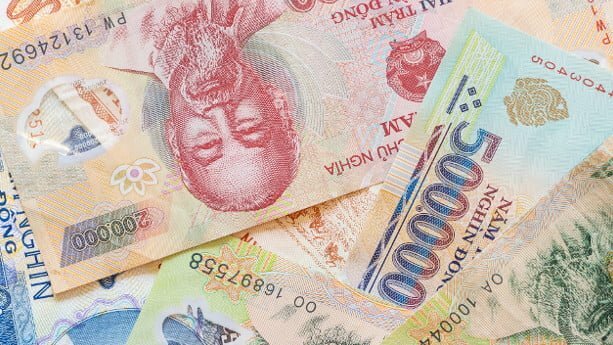 At the moment, you need to declare any cash values that exceed USD 5000, when entering or exiting Vietnam. It’s been difficult, if not impossible, for foreigners to get mortgages in Vietnam. Even if it’s still being restricted, you’re able to get property loans more easily from banks like OCB, HSBC and Standard Chartered. To get a loan, you need to provide some collaterals such as proof of savings or other properties you currently own. Shortly explained, collaterals are used to make sure that you can repay the mortgage in case you default. Contact some local banks and see what they have to offer. The interest rate, amortization requirements and payback period are of importance to assure that you get the best loan. Vietnam offers competitive real estate taxes. Below I’ve included the taxes you need to pay when buying property on the primary market. The VAT is 10% when buying condominiums on the primary market. A maintenance fee of 2% will also be paid by the buyer. The registration fee is 0.5% and paid by the buyer. If you buy-to-let, you need to pay a VAT of 5% and a personal income tax of 5%. Thus, a total rate of 10% applies to your rental incomes. Even if capital gains tax doesn’t exist in theory, you need to pay a personal income tax of 2% when selling property. Foreigners can normally not buy land, but the tax is 0.03 – 0.15%, just for your personal information. Consult with your agent or lawyer if needed, to confirm how to deal with the tax payments. It’s not always easy to choose the right location when investing in a foreign country. Below I’ve listed some of the most interesting and popular cities where I recommend you to look for property. Ho Chi Minh City is one of the fastest growing cities in Asia and attracts more and more investors. One reason is that manufacturing in China is getting more expensive. Another reason is that people from Hong Kong and Mainland China look for overseas investments as the prices have increased immensely there in the past years. You can be sure to find properties with prices that are 20-30% compared to prices in cities like Shanghai, Singapore, Hong Kong, and Shenzhen. And not only property prices increase fast, but the rental yields are also good, especially in comparison with other Southeast Asian countries. 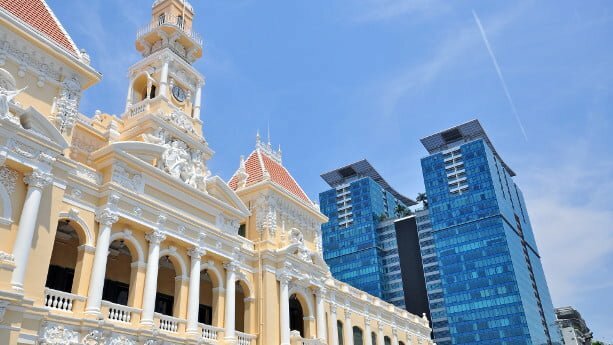 Personally, I like Ho Chi Minh City a lot due to its business atmosphere, the opportunities it has to offer, the short distance to other business hubs like Kuala Lumpur, Phnom Penh, Hong Kong and Singapore. Old colonial style buildings mixed with local culture and new skyscrapers makes this place one of the most interesting place to invest in the coming years. 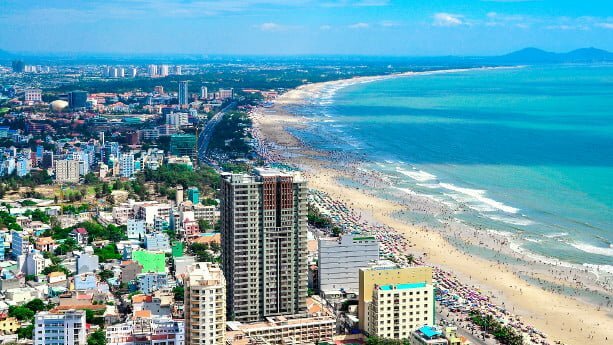 Da Nang is a coastal city located in the middle parts of Vietnam, with direct flights from the major business hubs in Asia. Even if the city is receiving more and more investments, especially from countries like Korea, Japan, and China, it’s more famous for its holiday resorts and beautiful nature. Property prices are on the higher scale and you’ll be sure to find the upper end hotels and condominiums being built here. Still, prices are lower than in Ho Chi Minh City in comparison. The infrastructure is one of the best in Vietnam and it has a business friendly environment. If you look for a place to enjoy your holidays or to invest for business purposes, you should not neglect this city. If you want to check interesting properties for sale in Da Nang, you can visit this article. Located between Ho Chi Minh City and Danang, Nha Trang is probably the most well-known tourist destination in Vietnam. 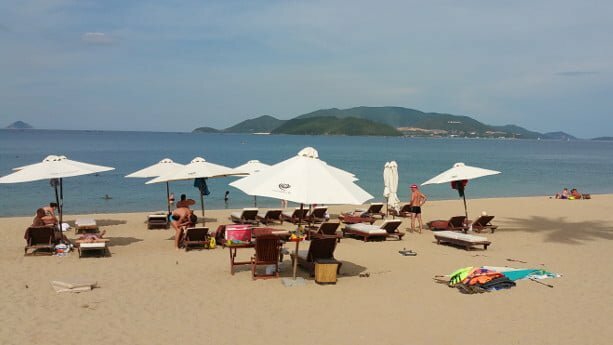 A large amounts of Chinese people and Russians have chosen Nha Trang as their favourite location to spend holidays. When I visited Nha Trang some time ago, I was surprised to see signs in both Chinese and Russian, many locals, even street vendors, are capable to communicate in Russian or Chinese, when foreigners try to haggle over prices. Property prices and living costs prices are generally cheaper in Nha Trang compared to places like Ho Chi Minh City, Hanoi, and Da Nang. Hanoi is the capital in Vietnam, but still smaller than the biggest business hub, Ho Chi Minh City. With a comparison to China, I’d say that Hanoi is similar to Beijing, whilst Ho Chi Minh City resembles Shanghai, or Shenzhen. As the political and cultural center, Hanoi has not attracted as many investors compared to Ho Chi Minh City. You’ll also notice that the media talk less about Hanoi, in comparison. Even if Hanoi draws less attention and investments compared to Ho Chi Minh City, many foreign investors (including many Koreans) still pour money into this cozy capital’s property market. 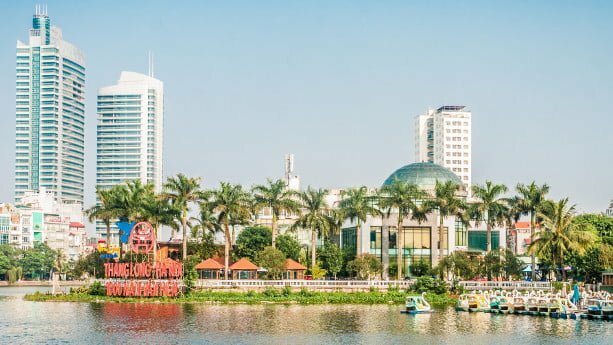 Do I need to reside in Vietnam if I buy a property there? No, you don’t need to reside or stay in Vietnam over a longer time period under the new regulations. In other countries like Australia, you sometimes need to be actively living there to keep your property. Can foreigners rent out property in Vietnam? Under the new regulations, there are no particular restrictions for foreigners to rent out real estate in Vietnam. But, in case you decide to rent out your property, you should first report this to the housing authority in your district. Also bear in mind that you’ll need to pay a personal income tax (PIT) plus a value added tax (VAT) of 10% of the total yearly rental income. Your agent can help you to find tenants and to draft the tenant agreement. In case your tenant moves out, they’ll found you a new one. The tenant should pay you a deposit of 1-3 months rent (generally 2 months) that you can keep in case the tenant decides to leave the property earlier than your contracted time. Below I’ve included some commonly asked questions among prospective property buyers and my answers. How can I settle in Vietnam? Even if Vietnam doesn’t offer any investor visas or retirement visas, like Thailand and Malaysia, it’s easy to stay on a tourist visa long-term. Still, a preferred choice can be to use the unit(s) as investment vehicles to earn rental incomes. Many new projects and condotels give you the opportunity to stay in your units, or other units in that project, for a couple of weeks every year. Both yes and no. Sure, Vietnam has a nice climate and offers very low living costs and a nice cuisine. Still, places like Thailand, Malaysia, and the Philippines are preferred options among retirees. Here, you can easily obtain retirement- and long-term visas. Can a foreigner buy a house in Vietnam? You can buy houses in new projects or from foreign sellers. But keep in mind that you need to lease the land for up to 50 years, as foreigners can’t own land in Vietnam. How high are property prices Vietnam? In Ho Chi minh City, district 1, 7, and 2 tends to be more pricey. But don’t let this scare you. Vietnam property prices are some of the lowest in Asia. The average price per square meter is USD 2,269 in the central areas, while property in suburban areas average at USD 1,083 per square meter. In projects like Metro Star (district 9) the starting price was as little as USD 1,500 per square meter prior to completion. Metro Star is located in the upcoming district 9 and is close to Thao Dien, directly connected with the MRT. If you check for property in places like Da Nang and Nha Trang, you can easily find condos starting from USD 60,000 – 80,000 per unit. Vietnam is growing rapidly and prices are still low, with numbers that are 20-30% of property prices in bigger Chinese cities (like Beijing, Shenzhen, and Shanghai). The Vietnamese Government has made it remarkably easier for foreigners to buy property since 2015, but you need to be careful prior to your purchase. Make sure to hire a lawyer and that you will receive your ownership certificate (pink book) beforehand. 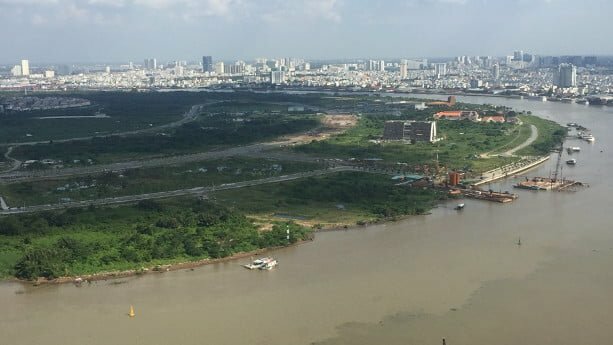 Foreign investors pour money into places like Ho Chi Minh City, but other cities like Da Nang are on the rise. You should check the market carefully before making any investment decision. 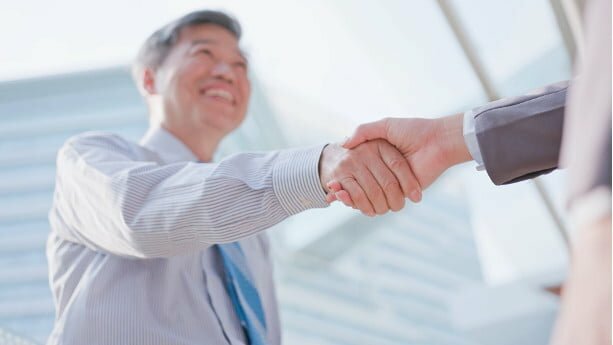 I hope this article has been useful to you and wish you good luck with your property purchase in Vietnam.